This is lovely! Especially the woven effect in the center. Lucky Matthew. Thank you. 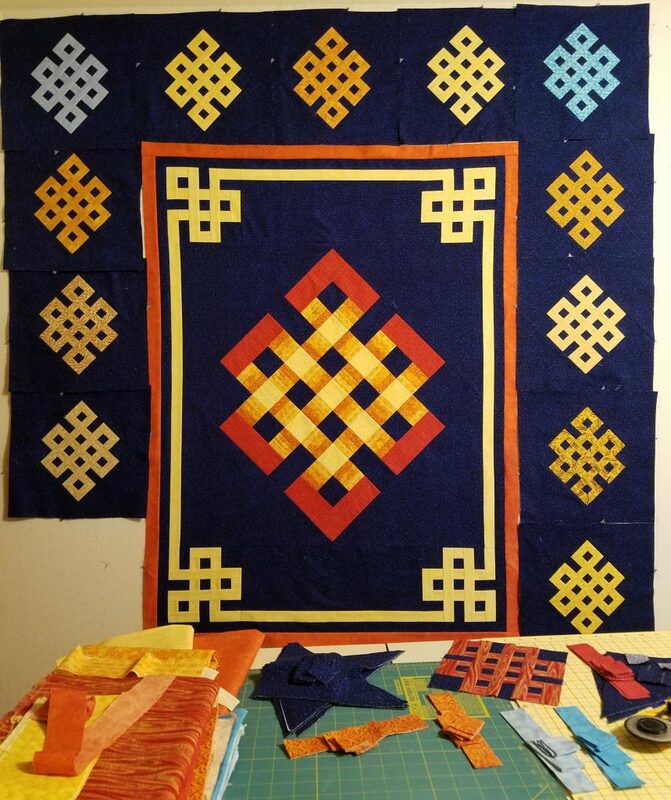 Still trying to decide on the outer pieced border. I’ll post a picture of the completed quilt when it’s done.